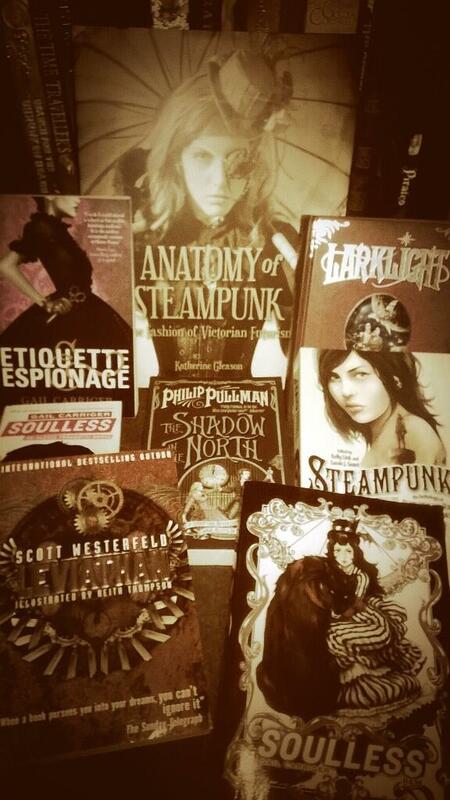 In October I was going through my TBR pile, and I realised I have a few Steampunk books. I moved them straight up near the top, because I wanted to read them sooner. Then, I was thinking about the titles- I absolutely love Steampunk art, fashion and comics- but I really don’t read enough Steampunk fiction! I wasn’t sure how I’d get myself to read more of it, and while I was wondering this, I was doing my Halloween Reads blog event. So… what better way to read a big chunk of my Steampunk TBR than a readathon-turned-bloggy-event? Steampunk is a genre under the Sci Fi umbrella, and it was mainly inspired by H G Wells and similar authors from that time. Steampunk books, comics, art and movies are pretty much all set in the Victorian era, and based around steam powered machinery- hence the name (: Mostly it’s Victorian Futurism: How Victorians saw their future. The genre has become really popular! I was introduced to it by a series of comics called Lady Mechanika, by American artist Joe Benitez. After reading and loving them and the unique world, I discovered lots of Steampunk art. I’ve been obsessed with the Victorian-era styles of the outfits, and I’ve always been doodling them. 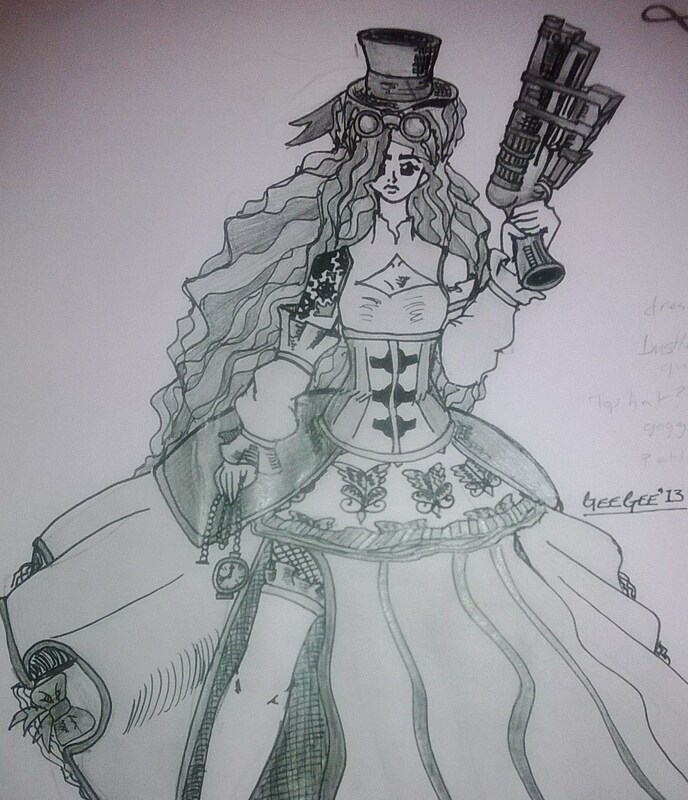 One of my early doodles that I created using inspiration from Steampunk Art books and Lady Mechanika is below! This entry was posted in Uncategorized on December 1, 2013 by keithbwalters. Ah I am the same as you. I absolutely adore steampunk art and comics, but I’ve never gotten too into steampunk literature. I’m going to have to check out some of the ones you mentioned. Lovely drawing by the way! Haha! 🙂 It’s not that much of a well known genre- though the reason for that is a mystery to me, because it is awesome 🙂 Thank you Lucy! I hope you enjoy them!